the mouthwatering solution to all your problems. 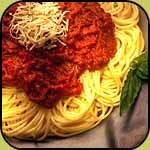 These are easy to prepare, are ready in no time and are delicious. We bring you the convenient way to make all your favorite dishes. 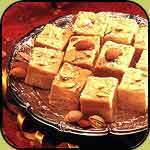 Indian sweets are delicacies enjoyed by people across the world. Gulabjamuns, Rossogolla, Murabba and Gulkand are the hot favorites. We also present a host of snacks that delight the Indian palate. We also offer HALDIRAM's Sweets like Rossogolla, Gulabjamun, Cham Cham, Raj Bhog, Petha Cubes, Angoori Petha, Soan Papdi, Soan Cake (Pateesha) and Snacks like Bhujia, Sada Dalmooth, Alu Bhujia, Bhel Muddi, Khatta Mitta Mixture, Laung Sev, Golden Mixture, Badam Lachha, Sp. Makai Chiwda, Kashmiri Dalmoth etc. 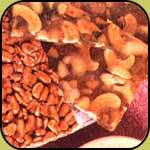 We also offer best KOLHAPURI JAGGERY (Gur) in 10kg Rawa; 5kg Rawa; 20rawa x 1kg and 40rawa in 500gm carton packing. We offer syrups that can be used as accompaniments to desserts or added to milk for a delicious flavour.